Central Coast Luxury Homes was approached to do a full renovation of the property by the owner and we were required to keep the look in fitting with the area. 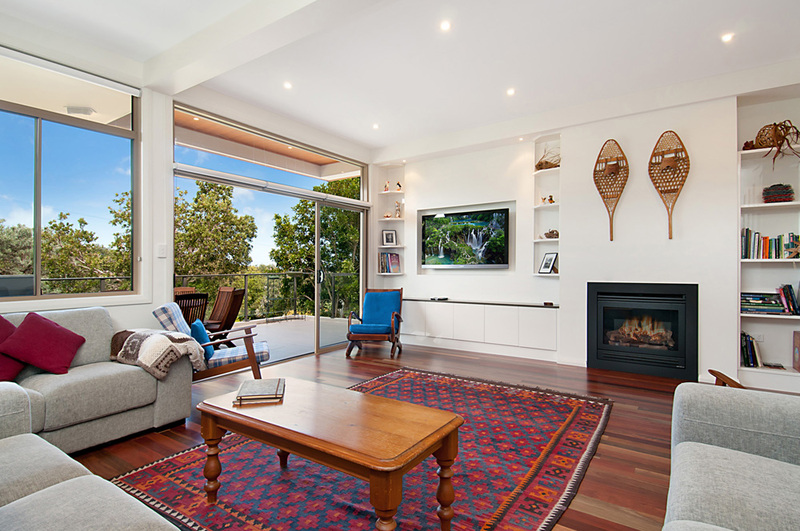 The upper main bedroom was converted into a reading room and extensions added to the front and rear of the property adding new bedrooms with accompanying balconies. 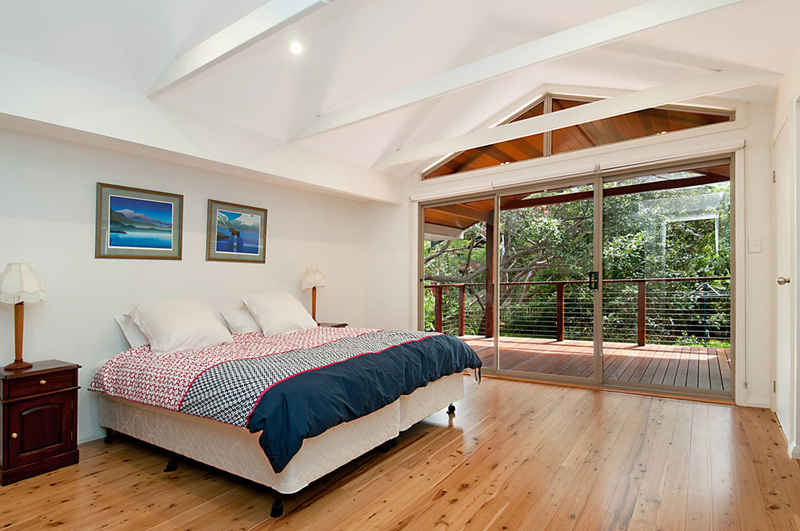 The master bedroom includes an en-suite and balcony which nestles into the trees, giving it a tree-house like effect. 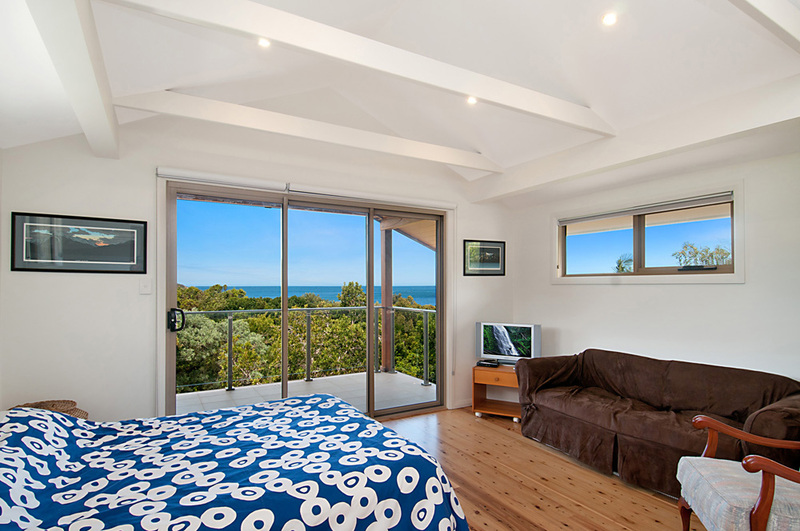 The front deck has sweeping panoramic ocean views. 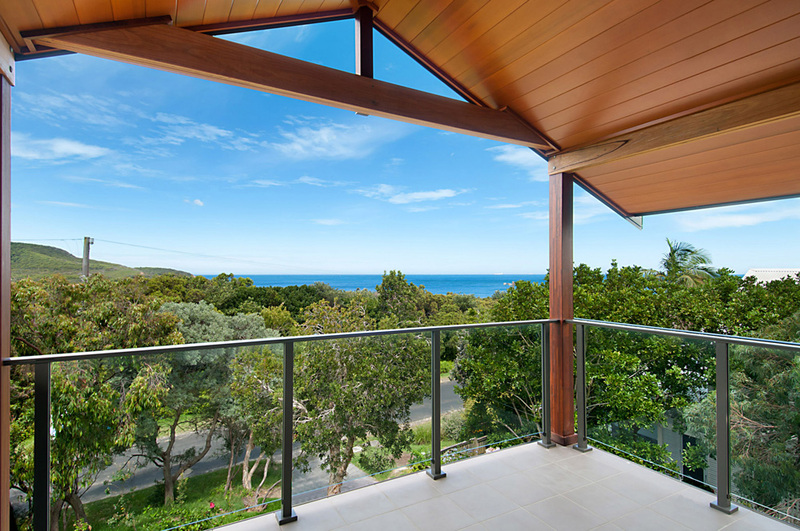 The balconies are fully detailed with v-joint cedar lining to the soffits, Merbau balustrading and 150mm solid Merbau posts. The main living area extends to a large living area with a large sliding door that takes you out to the newly added suspended concrete balcony. The balcony is finished with large tiles and semi-frameless glass balustrading surround, perfect for the afternoon BBQ. The large living area has an in-built gas fireplace and a custom built entertainment center with custom cabinetry. The kitchen is fully renovated and topped off with modern appliances. The original floor boards were sanded and re-coated and left in their original position, highlighting their copper square head nails of their time. In the new extensions throughout, we maintained the original look and feel by adding mixed hard wood floor boards blending with the original flooring. At the front of the house, we dug-out an area to sustain a double car garage with reinforced masonry walls. The garage is accessible by remote control and adds extra storage space any home would love to have. 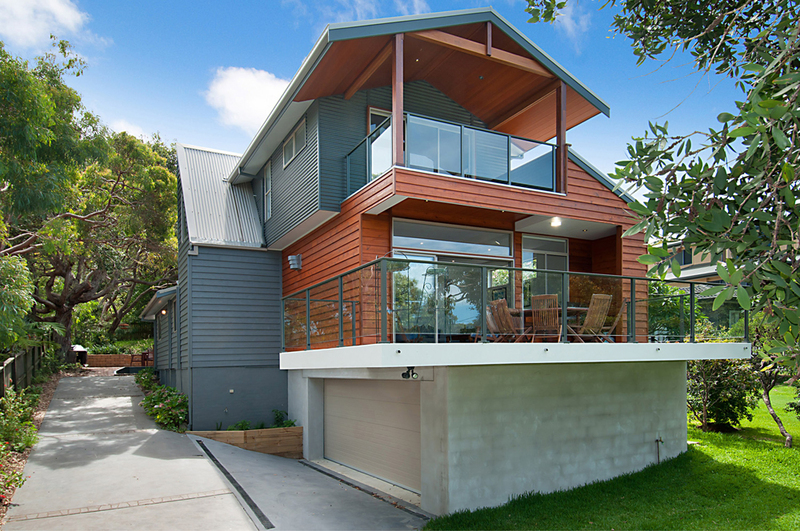 The exterior was finished with a cement render and colour texture coat to blend with the rest of the multi-cladded exterior finishes. 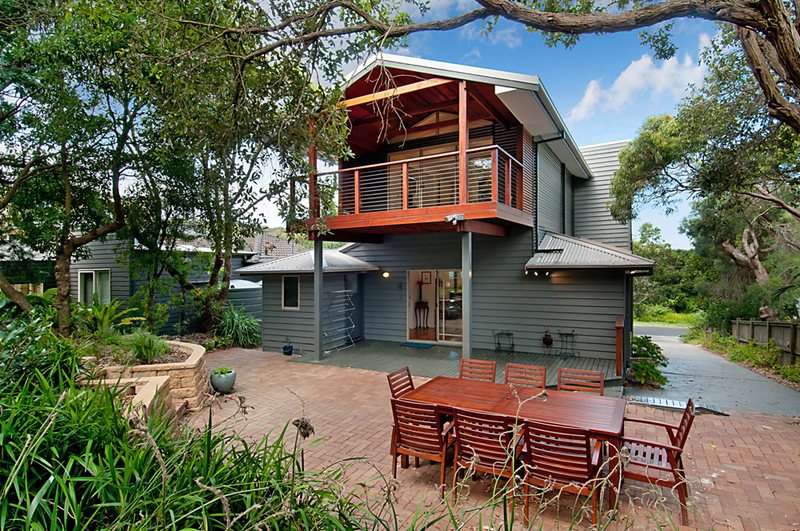 This beach house property maintains that Australiana bushland look and feel of the area. 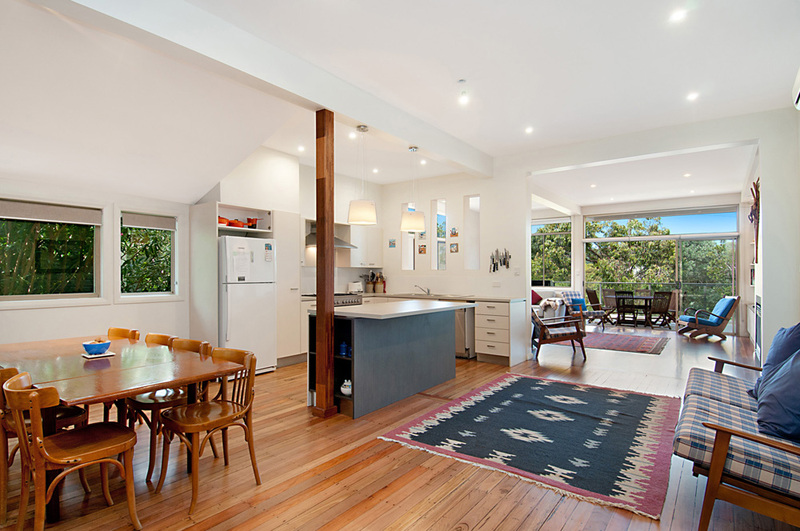 The property fits nicely into its surroundings and the owners were very pleased with its outcome.